Adjust Default Junk Settings. From Outlook’s Home tab, select Junk (from the Delete group),Junk E-mail Options. 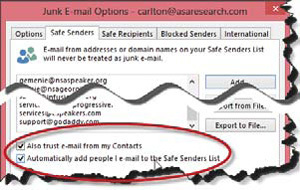 On the Safe Senders tab, check the two boxes labeled Also trust e-mail from my Contacts and Automatically add people I e-mail to the Safe Senders List. Set up Contacts. Each time you communicate with a new person, take a moment to set him or her up as a contact because Outlook will treat all messages from your contacts as safe messages (based upon the setting adjustment made in step 1). 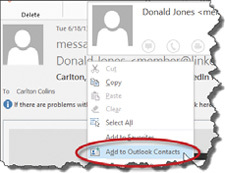 To quickly add a contact, open the sender’s email message, right-click on his or her email address, and then select Add to Outlook Contacts from the pop-up menu. Include any additional contact information you wish, and then click Save and Close. Over time, these adjustments should help ensure the majority of emails are properly treated as safe messages. Editor’s Note: This article originally ran in the AICPA’s Journal of Accountancy. 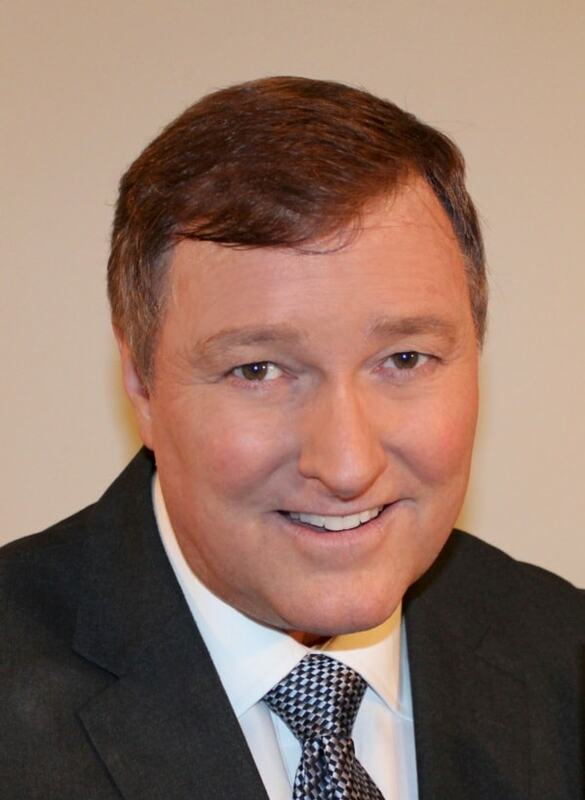 J. Carlton Collins, CPA is a technology auditor, an award winning public speaker on Excel and other technologies, author of the Journal of Accountancy's monthly technology column, and the recipient of the "AICPA Lifetime Achievement Award."